Fifteen men on the dead man's chest—yo-ho-ho, and a bottle of rum! Drink and the devil had done for the rest—yo-ho-ho, and a bottle of rum! Constantly craving rum and being drunk. Disheveled, tattooed, pirates living hand-to-mouth. "...with rings in their ears, and whiskers curled in ringlets, and tarry pigtails..."
Wig-wearing Brit to act as a foil. 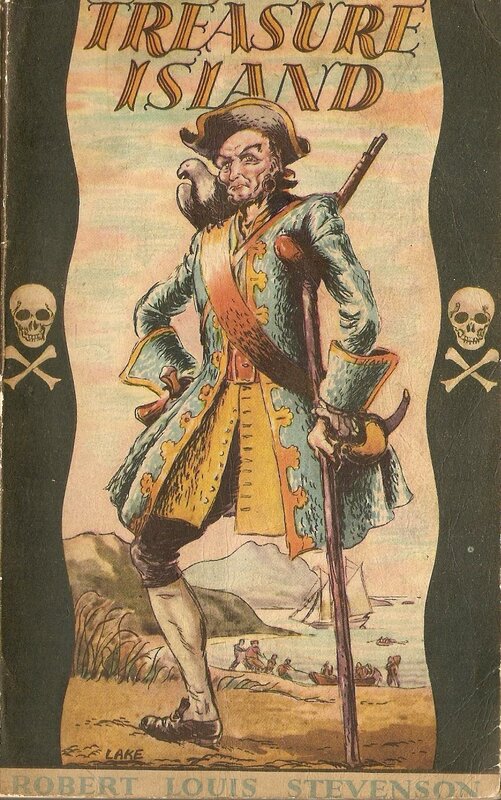 A parrot on the pirate's shoulder.